Reports and some hot paparazzi shots have shown that the upcoming Apple Watch is out and about on the wrists of Apple’s employees as the devices nears its pegged March release. Multiple versions of the wearable have been seen as modeled by the select few who have access to early versions of the device for testing purposes. The high end Apple Watch, which in some versions is to be plated with gold, are pegged for a release at some point in the next few months, and aside from a few qualms about battery life, the device is almost ready for public consumption. Pictures of the device have shown up on MacRumors.com on the sites forums, with pretty convincing shots showing several models and strap options. On top of this, Apple stores have seen the installation of special safes to store the more luxurious gold plated model we’ve already mentioned. The devices with the plating are rumored to be priced in the thousands, so the heightened security is a must for the storage of such pricey devices. In other news pointing to the Apple Watch”s pending release, app developers for some of the biggest apps are reportedly gearing up to get their apps into full release by mid February, as some sources are putting it. Apple Pay partners are reportedly at the forefront of these developers, hoping to get the biometrically verified payment system ready for day one usage. High end and big name developers have already got their hands on the development tools for apps on the watch, either through public release of the relevant tools or early access to the software through Apple. February 12th has been thrown around recently as the deadline for releases of apps for the Apple Watch on Apple’s App Store. With so many models already in testing and apps for the device on the way, that predicted March release looks more and more likely. We’ve not heard much in the way of changes coming to the Apple Watch following the announcement of the device last year, but from what was detailed the features of the device are expected to be much more diverse than the previewed few we’ve seen. SEE ALSO: Clash of Clans Revenge event see’s Liam Neeson unleash his Barbarian and Dragon wrath! The Apple Watch will hit stores on day one with several physical customization options such as straps and finishes as well as multiple base models such as regular, luxury and sport, which come in two sizes. On top of the variety fo looks for the device, a modified Apple iOS and app platform will allow app makers to show off their creations on the watch hopefully from launch. 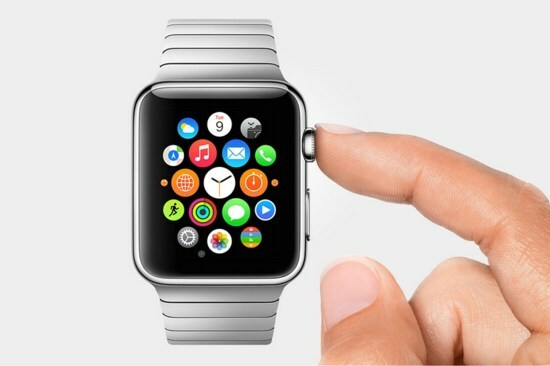 Release dates are not yet nailed down, but whenever the Apple Watch arrives it’ll be one of the big events of 2015.